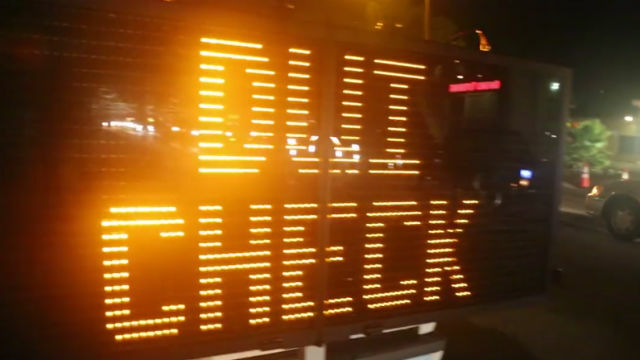 The Escondido Police Department is preparing Thursday to conduct a DUI and driver’s license checkpoint over the weekend, the first in a slew of operations across the county aimed at curbing drunk driving around the Fourth of July holiday. The EPD Traffic Unit will operate its checkpoint Friday at an undisclosed location that will be chosen based on collision statistics and frequency of DUI arrests, Lt. Mike Kearney said. “Research shows that crashes involving an impaired driver can be reduced by up to 20 percent when well-publicized, proactive DUI operations are conducted routinely,” Kearney said. In April, a checkpoint in Escondido netted one arrest for drunken driving and resulted in four citations for drivers operating vehicles with suspended licenses. The Escondido checkpoint will be the first in a number of law enforcement actions aimed at keeping San Diego roadways safe during the holiday weekend. Beginning Saturday, law enforcement agencies across the county will launch a four-day effort to prevent alcohol-related deaths and injuries and underage drinking. “Drive Sober or Get Pulled Over,” which city and county law enforcement leaders will launch Thursday with a news conference near Mission Bay, will include roving DUI patrols and stepped up enforcement of house party laws. The Escondido checkpoint is funded by a grant from the California Office of Traffic Safety through the National Highway Traffic Safety Administration.